Been waiting for the price to drop before taking the plunge and upgrading from DVD to a Blu-Ray player? 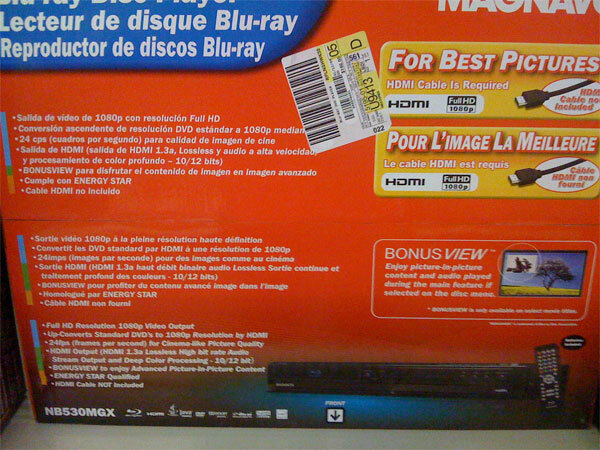 This is easily the cheapest Blu-Ray deal I’ve ever seen. 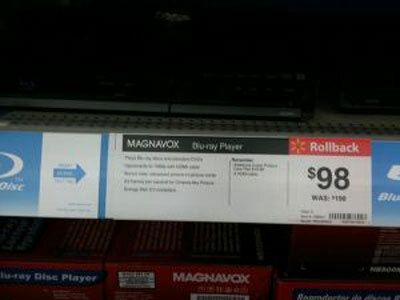 According to the guys over at FormatWarCentral, the Magnavox NB530MGX Blu-Ray player has been spotted at at least one Wal-Mart store with a price Rollback to just $98 (USD). Despite the crazy low price, this model supports full 1080p resolution video, over an HDMI 1.3 connection, and true 24fps playback to boot. 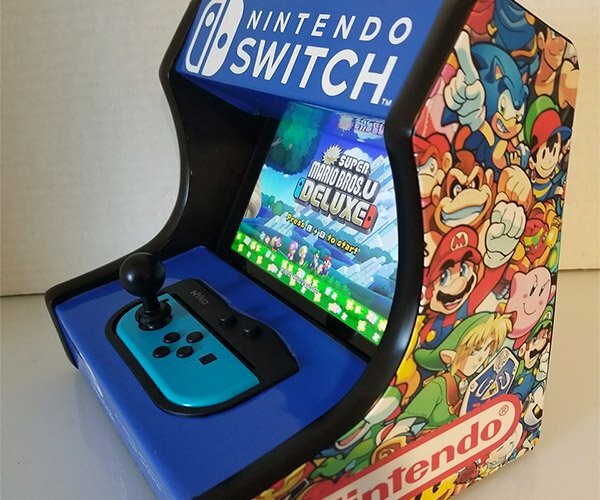 It’s not currently available on the Wal-Mart website, but with a price like that, it’s worth heading out to your local big box shop to see if they’ve also cut the price. I’m hopeful that these kinds of price cuts are just a taste of what’s to come for the 2009 holiday shopping season.